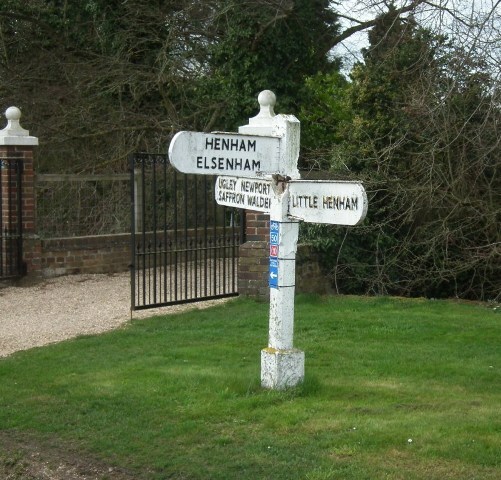 The village of Henham has three finger posts all 80 years old in 2013, which villagers pass without a second thought. Thanks to the Milestone Society, I have been provided with the details below. The Milestone Society has a wealth of history on their website. 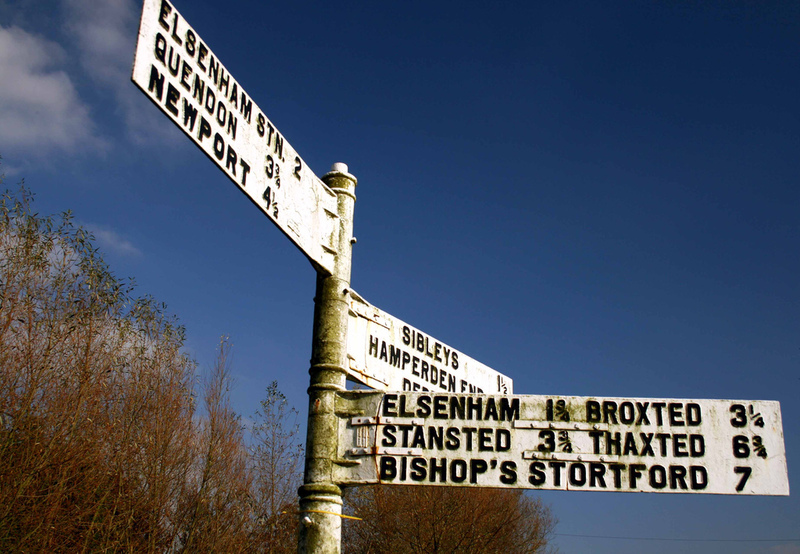 This includes the origins of mile posts which were originally commissioned by the Roman legions and their steady decline, especially during the World War II when they were removed or deliberately defaced to confuse any invading force. 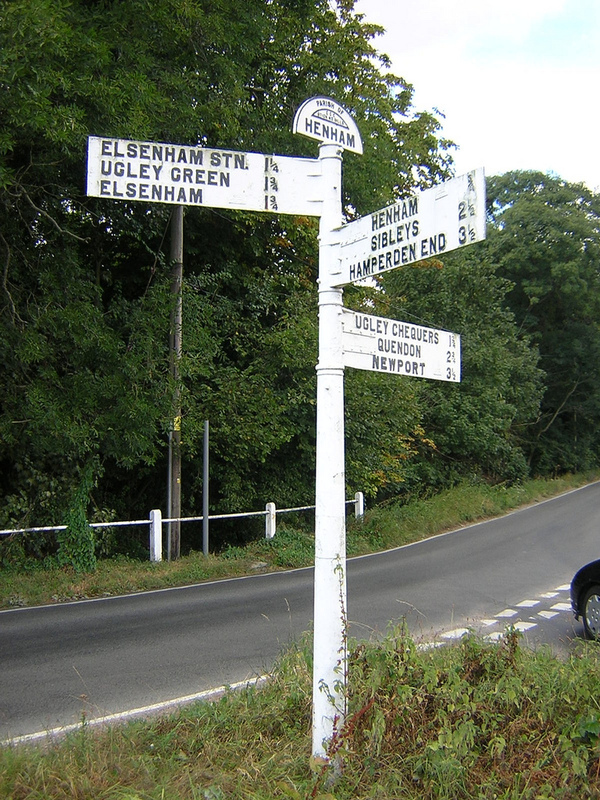 So next time you pass one of our signs, remember we are fortunate to still have them. If you know of any lurking in farmers fields or down track ways, the society would love a photograph. The pictures are from geograph, and are licensed under the Creative Commons Attribution-Share or Flikr where all rights are reserved. Made by Maldon Iron Works and located at grid ref TL 5462 2851. Photo 2003. This post was part of Order No. 2404 dated 6 February 1933. 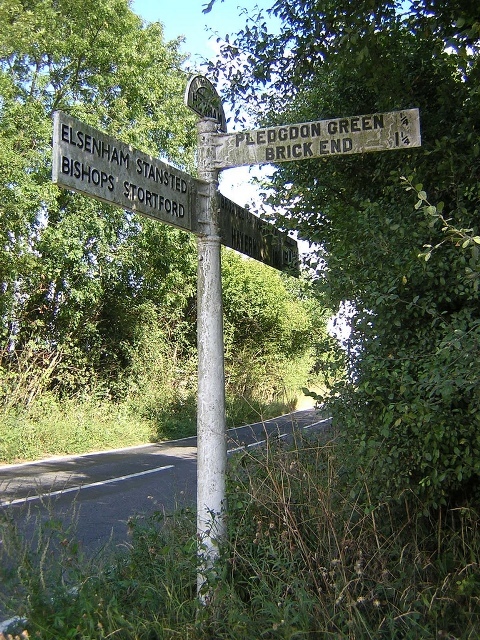 At the junction of Hall Road and Old Mead Road. Made by Maldon Iron Works and located at grid ref TL 5617 2743. Part of Order No. 2404 dated 6 February 1933. Photo 2003. 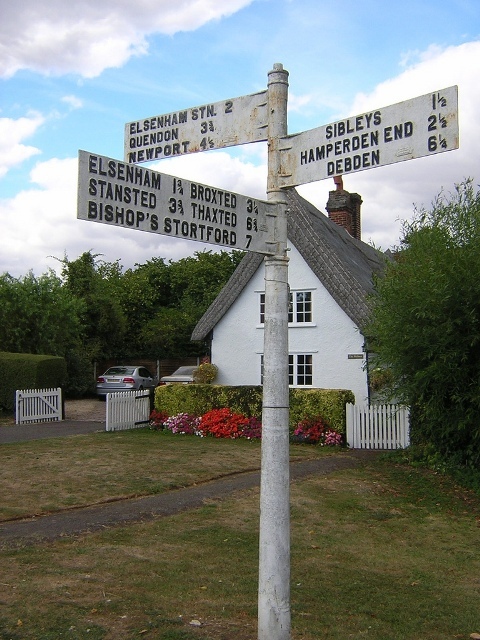 The half moon shape is a unique feature in Essex.